Taking care of a loved one who is already in their golden years can be both a rewarding and exhausting experience. It can be rewarding knowing that you are providing the care your loved one deserves, but at the same time it can be an exhausting and draining task. You will need to be there for them around the clock, and sometimes that is just not possible. However, through the senior care services offered by Abundant Life Assisted Services, we will ensure that your loved one is in the best hands possible. We offer exceptional and compassionate senior home care services in Georgia! This means that when you need a break or if you feel like you are not providing the best care possible, we have the services to supplement or improve the quality of care you are giving to your loved one. 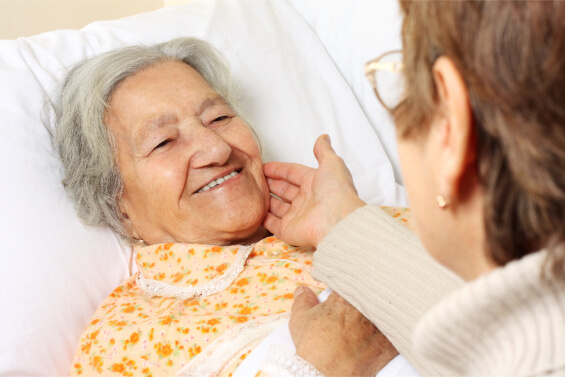 Our care is personalized and tailor-made to the needs of your loved one. We will take a look at their health and their current living conditions and find solutions to the struggles and challenges they deal with on a daily basis. A good example of this is our homemaking services, through these services we will assist your loved one in all of their daily tasks or we can just simply do it for them. Our homemaking can help with a number of things such as running errands, cooking meals, taking care of the pets, keeping the house maintained, and much more. If you feel like your quality of care is decreasing or that you simply cannot provide the care your loved one deserves because you are just feeling drained and exhausted. Then you may want to consider our respite care services. Respite care means that we will have a compassionate and exceptional caregiver to stay with your loved one around the clock, to ensure they are getting the care and assistance they need. While we are taking care of your family member, you can get the rest you need to simply recover your energy and recharge your batteries! We all want the best for our elderly loved ones, so make sure that they are getting only the highest quality care possible. Our website www.alascare.com is full of information regarding our services and how we can help you and your loved one, so feel free to come and check it out anytime. If you have any questions that you would like to ask us, you can give us a call today at 678-319-0307. Make sure that you are providing superb for your loved one and nothing less. This entry was posted in Elder Care, Home Care and tagged Elder Care Tips, Elderly Care, Home Care, Home Health. Bookmark the permalink.